Arena of Valor was originally a mobile game. For the Switch version, Tencent has taken that base, but has made some improvements and changes. 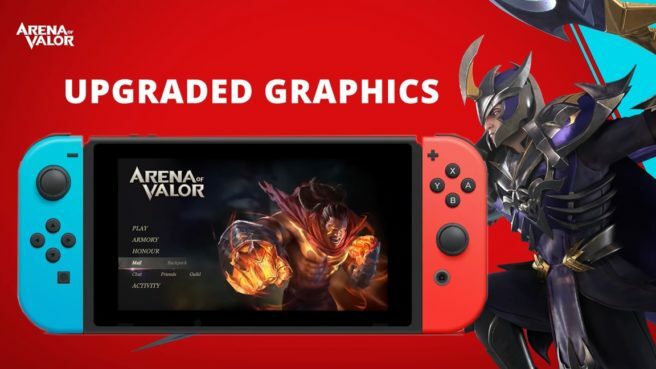 Something we heard about previously is that Arena of Valor will have boosted visuals on Switch. Engadget says this extends to animations as well, and there will be enhanced lighting effects by smoothing out rough lines and adding elements such as fluttering butterflies to the maps. Stats in the Switch version are also different since the team accounted for how Arena of Valor plays on the big screen and with controllers. As a result, you won’t be able to battle friends on mobile as they’re essentially different games. This applies to how Tencent is approaching development as well. There are actually separate teams for the Switch and mobile versions, further highlighting how they’re being handled differently.